Screenshot from one of Seena's viral Afan Oromo ‘resistance songs’ from the group's YouTube channel. Seven producers and performers of a popular YouTube music video were charged in Ethiopia in late June with terrorism for producing ‘inciting’ audio-visual materials and ‘uploading them on YouTube’. The group members were arrested in December 2016 and were held in detention without charges until last month. Among those facing charges is Seenaa Solomon, a young female singer who critics say is a rising music talent to watch. The other detainees include the well-known songwriter, singer and music entrepreneur Elias Kiflu, two vocalists Gemechis Abera and Oliyad Bekele, and three dancers, Ifa Gemechu, Tamiru Keneni and Moebol Misganu. This marked the second arrest for dancer Moebol Misganu, who in 2014 was arrested in connection with the students protest in Ethiopia’s largest region, Oromia. He was released in 2016. The contentious political environment in which these arrests have occurred has grown out of the Ethiopian government's plan to expand Addis Ababa, the country's capital. In 2014, the ruling EPRDF party announced plans to expand the capital into adjacent farm lands of Oromia, Ethiopia’s largest region that is primarily home to the country's largest ethnic group, the Oromo. When the plan led to wide-scale protests and a violent government crackdown, Afan Oromo (the region's language) musicians began to rise as a visible — and audible — source of inspiration for the opposition movement. 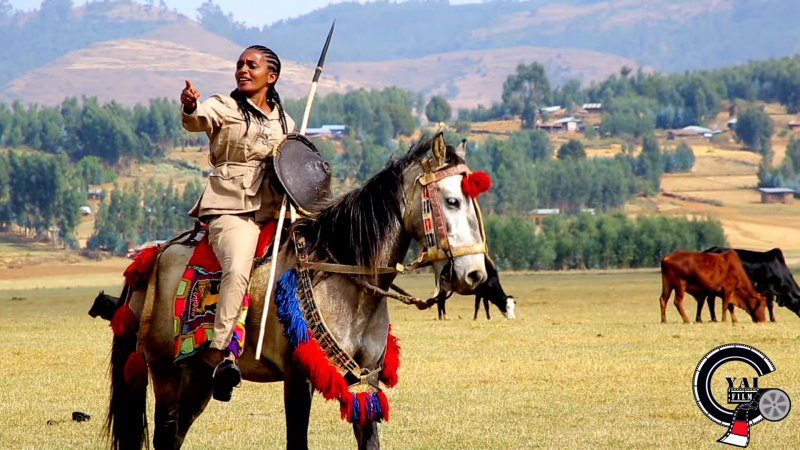 Seenaa Solomon's group produced music videos in Afan Oromo during student protests that rocked the country from 2014-2016, creating something akin to a soundtrack for the movement. In their coverage of the group members’ arrests, state-run Fana Broadcasting Corporation reported that Seenaa and her colleagues were producing music videos, poems and interviews with government critics in collaboration with a diaspora political organization based in Australia. According to their charge sheet, their audiovisual materials were “inciting” and “complimentary” of the student protesters and others who demonstrated between 2014 and 2016. They are not the first musicians to face such repression. In January 2016, Hawi Tezera, another Oromo singer who comforted and inspired protesters through her songs, was imprisoned. In February 2017, Teferi Mekonen, an Oromo singer who asserted Oromo cultural identity and challenge the legitimacy of Ethiopia’s ruling party in his songs, was arrested. Hawi was later released, but Teferi's fate remains unknown. As the visibility of political singers has risen, Ethiopian authorities have intensified their crack down on musicians whom they perceive sympathize with opposition. But this has not necessarily made the musicians less visible or less popular. Resistance music continues to flourish on YouTube. Despite the fact that its performers are in jail, the YouTube channel for Seenaa Solomon's group maintains an impressive tally of more than 3,525,996 views.